This free short course will introduce you to the key characteristics of the PRINCE2 project management method and highlight what makes this method different. It covers the most important principles and themes of PRINCE2 whilst showing where it fits among other project management frameworks, methods and concepts. 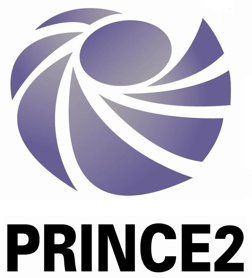 seeking to more effectively engage with a PRINCE2 project. The course webinars are all presented by our senior industry-based lecturer and course designer for business subjects, Brenton Burchmore. During his 20 years in Corporate Management, Brenton has overhauled and implemented systems, processes, procedures and software utilising an array of project management techniques and methods. He now brings this practical experience to our free online PRINCE2 Primer short course. Will this short course fully prepare me for PRINCE2 exams? No, however this short course is useful preparation, at least, for those looking to sit the PRINCE2 Foundation exam, or for those considering a more comprehensive study of PRINCE2 in the future. The course is designed develop an understanding of what PRINCE2 is and where it fits to help you decide if and how you wish to pursue it further. Why a PRINCE2 short course? PRINCE2 project management certifications are among the world’s most in demand. These figures are slightly dated, but show that more than 1 million PRINCE2 examinations have been sat. Moreover, it is particularly relevant in Australia. From 2009-2012 the number of PRINCE2 exams sat in Australia increased by 170%. Do I get a certificate if I complete the course? Yes — provided you receive a pass mark (50% or over) for course assessment, which comprises the exam and participation marks. Successful completion of three IT Masters Free Short Courses may make you eligible for university credit. For more information on university credit with IT Masters, please visit this webpage. Are the sessions be recorded? Yes — the sessions are recorded and you will be able to access them by registering for the course.